Just finished the book Daemon today (pronounced Demon, but refers to self-executing code running in the background mainly in the UNIX environment) and thought I would sit down and write some thoughts about it. Daemon is about a series of murders that are committed by a computer program. The computer program was the creation of a billionaire computer game AI specialist and the twist is that he is dead. The computer program is running on its own through the Internet and all the computer games that people are playing. So, you can see why I was attracted to this book, having to do with the game industry. While I thought it was a good book overall, I thought the plot wasn’t solid enough in some areas. 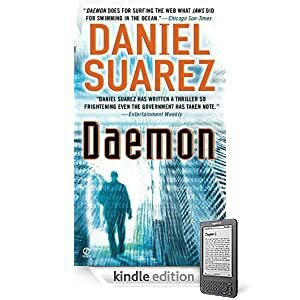 It has a great premise and the book starts out by following the detective who is following the case and a computer expert who was under investigation, but cleared once the Daemon program was discovered to be the real culprit. The book would have been great if it continued to follow these two characters throughout the book. However, half-way through it takes a weird twist and these two characters are pretty much absent for the second half of the book. Instead the author goes into describing how the Daemon is invading society, which is where the book slowed way down for me. Then, the last climatic scene of an attack by the Daemon feels really forced. The book didn’t really build up to a head, it just kind of happened. Anyway, I’m being kind of vague about the second half of the book because I don’t want ruin it if anyone decides they want to read it. I recommend the book if you are into computers and computer games. It’s an interesting premise, but as Daniel Suarez’s first novel, I find it lacking a decent well rounded plot. I will read the sequel, Freedom™, but I probably won’t rush. 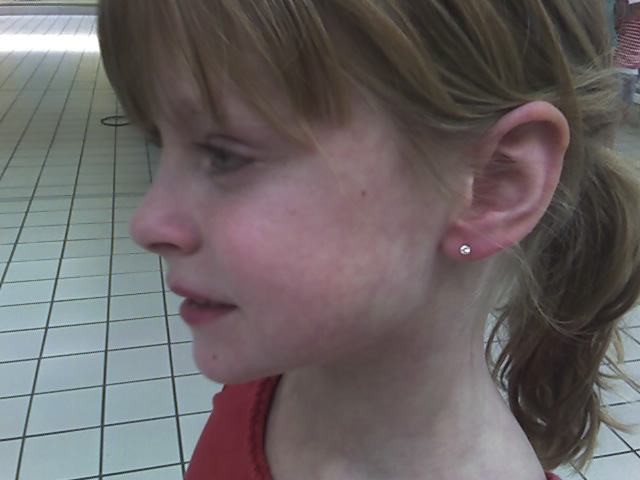 Last weekend Abby got her ears pierced. I guess she’s a “big girl” now. She’s very happy and has been very good about turning and cleaning the earring studs. She was really brave and they pierced both sides at once, which was a pretty good idea since she might not have wanted to do the second ear once the first ear was pierced. One thing I’ve noticed since being away from the girls is that I’m getting more read. I just finished Stephen King’s Cell in just three weeks. This is something that would have normally taken me 2 – 3 months. It was actually a pretty good novel, which might have also been part of me reading it so fast. Since the Software Estimation book took me away from me completing the Dark Tower series, I decided to take a quick detour and read a Star Trek novel. These novels are nice and simple and doesn’t take much thought since all the characters are established. I’m amazed that it has been two years without any Star Trek on television. There is a movie in the works, but no word on bringing it back to television. 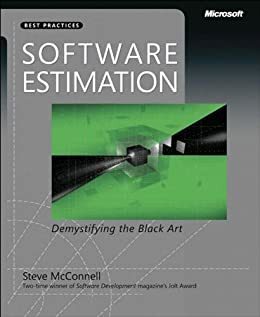 A few development directors at work have gotten together to read the book Software Estimation: Demystifying the Black Art, which I finished today. It’s a very good book about different techniques for estimating how long it takes to build software. One of the biggest issues we always have at work is making sure we can build the features we want to build into a game. Sometimes we are right on, but a lot of times lately, we’ve been way off. I plan on discussing some of these techniques with the other development directors at work at the end of the week. 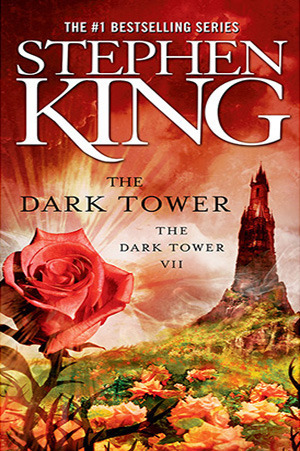 As you may have predicted, I just went ahead and picked up the last book of The Dark Tower series. The last 1050 pages of my quest to re-read the part of the series I had read back in college and finish out the new last three books. Needless to say Song of Susannah finished with a bit of a cliff hanger, so I really had no choice in the matter. I finished the sixth book of the Dark Tower series today. It was a shorter book and I felt it didn’t progress the story all that much, but did have some good twists and turns. It seems to be more of a bridge between the last book and the final book in the series. I recommend this book and series, especially if you are a Stephen King fan. It binds all his books together. I don’t want to go too much into what happens in the book because I don’t want to give away anything. 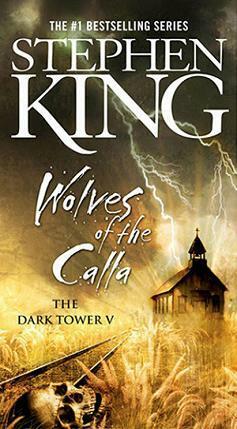 I finally finished the fifth book of Stephen King’s Dark Tower series, Wolves of the Calla. It was really good and really long. I was amazed that a bulk of the book had nothing to do with the actual “Wolves”. Roland and his ka-tet come across a town where all children born are twins, one boy and one girl. Every twenty years or so, a group of riders in wolf masks take away one of the twins and they come back “roont”, or retarded. The town begs Roland’s group to help and they do. 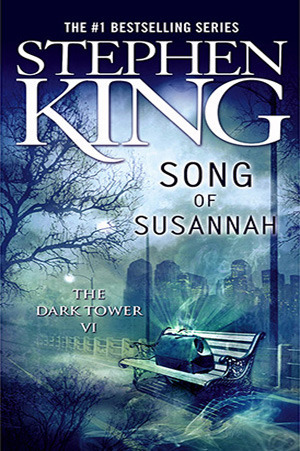 In the town, they meet Father Callahan from Salem’s Lot who leads them to a way to help save the rose in the abandoned lot in New York, the doorway to their quest to save The Dark Tower and all of existence. The book is a whopping 900 pages long and it took me quite a while (four months) to finish, but it was well worth it.